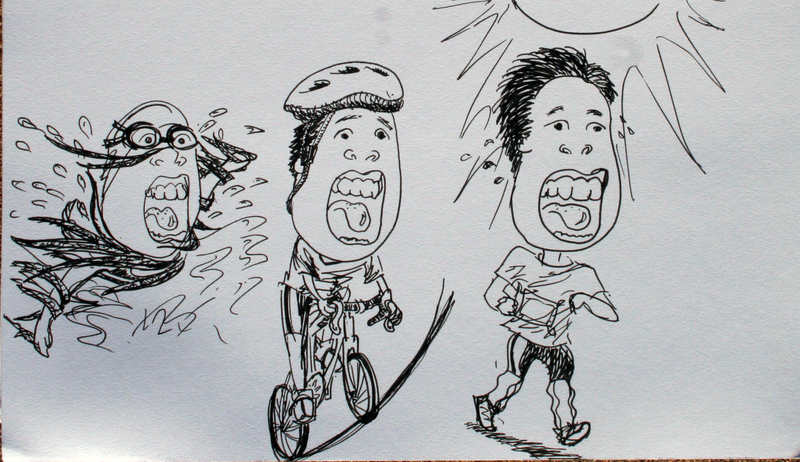 I just loooove my sister’s rendition of her triathlon experience. Just look at those tongues! And the wobbly running legs!!! So spot-on!